One of my favorite hairstyles is a wash and go. I shampoo and condition, rinse, add products and boom. . .curly hair with definition. Two days later however, my hair can be frizzy and dry to the touch. That’s when I hop in the shower and co-wash my curls. There’s no need for a follow- up conditioner because I’m already using one. I also take this time to finger detangle because my hair has so much slip it makes this step a lot easier. I rinse the conditioner out and apply my products once out of the shower. My wash and go is even better this go ’round because my curls aren’t stripped of their moisture like when I shampoo. 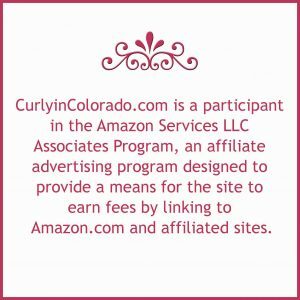 After reading up on the Curly Girl Method, I was convinced that switching to co-washing exclusively was best for my hair. My curls always felt so amazing afterwards so I thought I would give it a go. Thing is, you have to also eliminate products from your routine that have heavy silicones. Does that sound familiar? You guessed it. 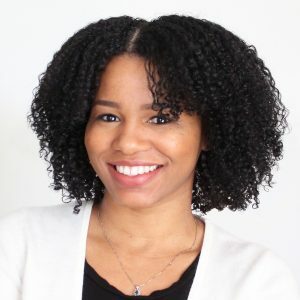 We can all thank the Curly Girl Method for the “silicones bad” mantra that has plagued natural hair videos ’till this day. If you’re going to cancel shampoo then you have to get rid of products with silicones. This is because conditioner only washing cannot remove them from your hair. You need shampoo for that. So without proper removal of silicones you will experience build-up on your hair strands. When I decided to adopt this new method I was okay with switching out my old products for new ones. I thought it would be worth it if I saw an improvement in my curls. However, a few weeks in and my scalp was begging for mercy. I went back to my Curly Girl handbook searching for answers. Wasn’t the conditioner cleansing my scalp? Well, in my case, not really. I had psoriasis and when it flared up, my scalp was inflamed, itchy and flaky. I also had to be careful which conditioner I chose. If it had any heavy ingredients in it then it simply did not work as well at cleansing my hair and scalp. In my case, my hair loved the co-washing and my scalp absolutely hated it. C’est la vie! 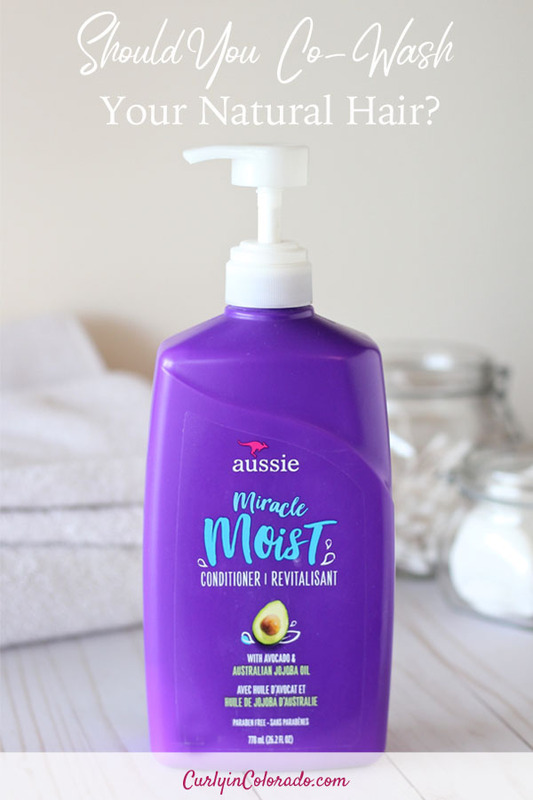 This conditioner makes my hair feel great after co-washing but it has silicones which cause build-up. I follow up with shampoo to cleanse my hair and scalp a few days later. 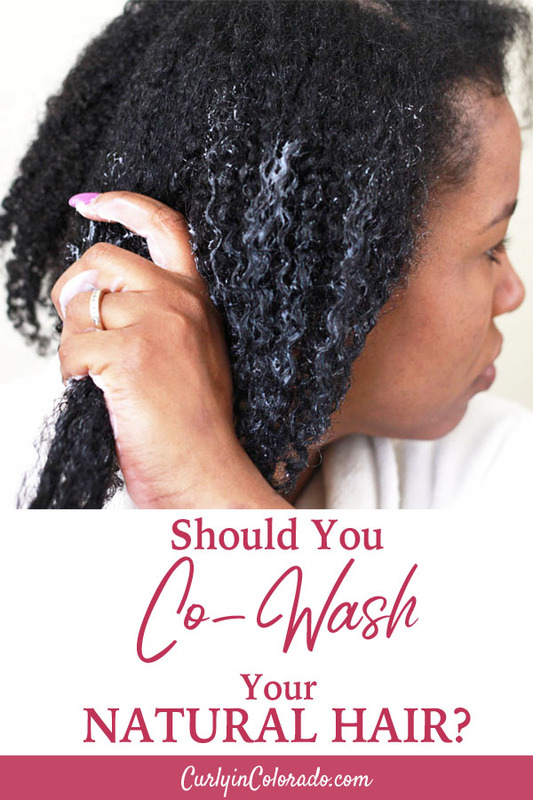 If you don’t have any scalp issues then you might be able to get away with co-washing only. Be mindful of how your scalp is taking to it. Is it itchy or flaky? Your scalp may adjust to it and it may not. A healthy scalp is super important if you’re looking to grow healthy hair. It’s okay to quit co-washing exclusively if it’s not working out. If that is the case, you can use the method periodically when your hair is feeling dry. Remember to keep your shampoo on deck in case you need to clarify your hair and scalp. Also, try to go with a conditioner that doesn’t have heavy silicones like dimethicone. That can lead to build up. You want to refresh your curls, not overload them with heavy products. Like I said, my hair looooves co-washing! The Colorado climate can be wicked dry so it really helps to have something in my arsenal that gives my curls that much needed moisture. I have to keep my scalp clean with shampoo though or else my flaky scalp will wreak havoc again. For that reason I won’t be tossing my shampoo out anytime soon. As with most things in life, it’s all about balance. Listen to your hair (and scalp) and decide what works best for you!